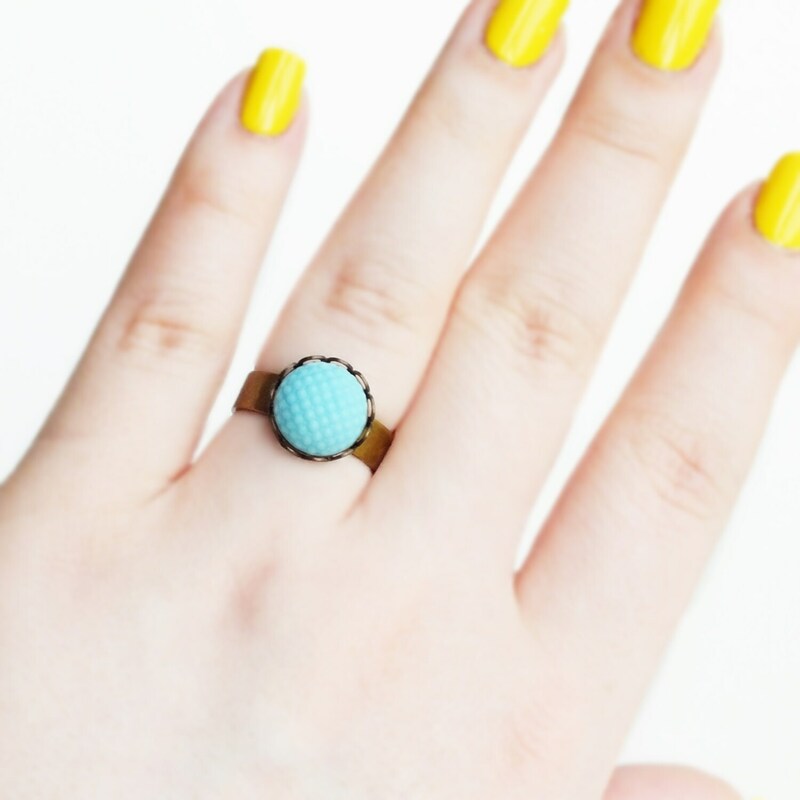 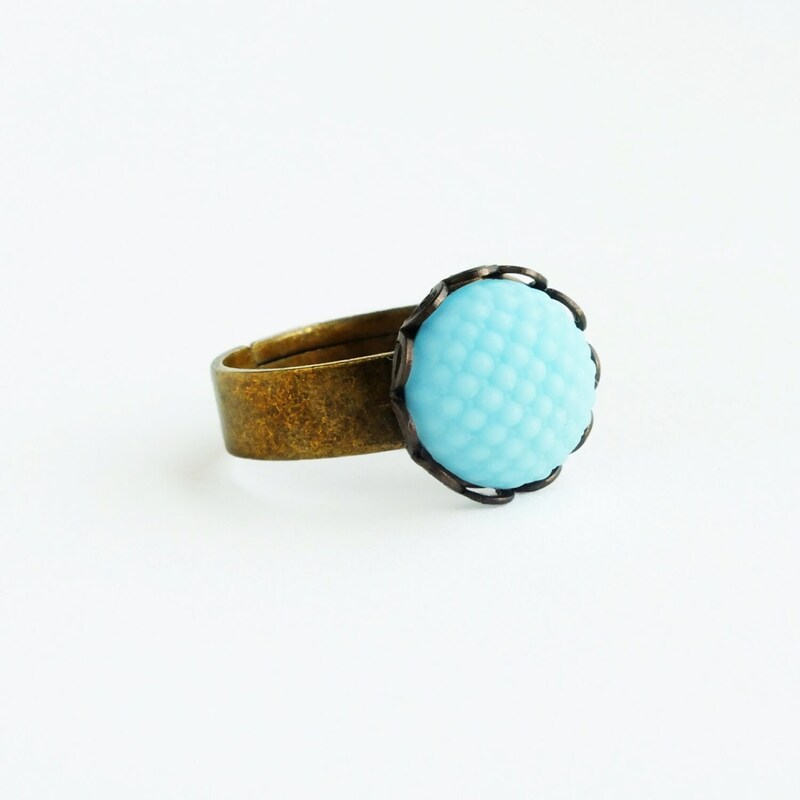 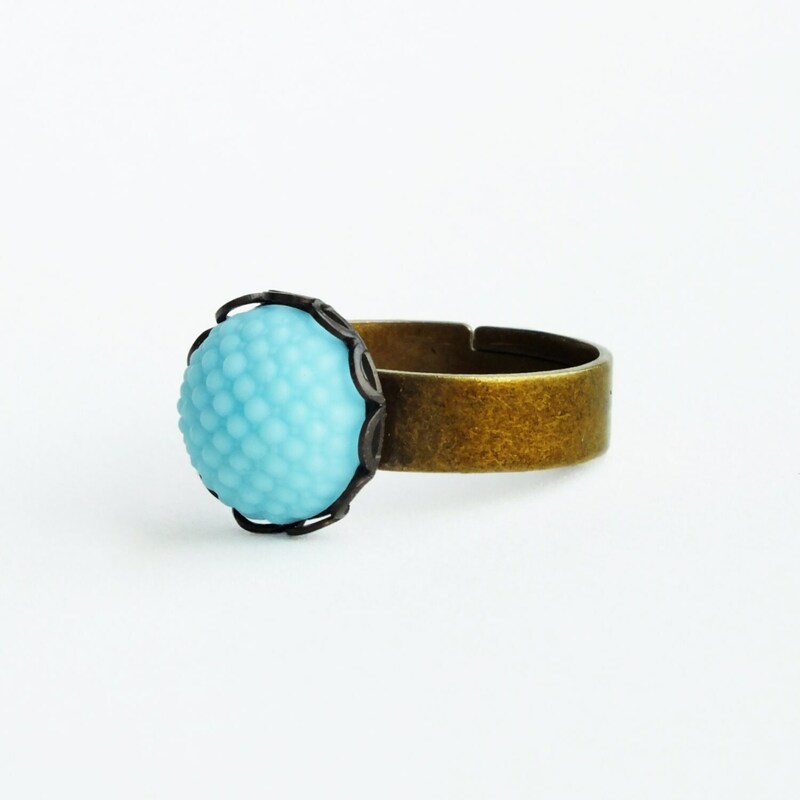 Handmade small matte glass ring with vintage light blue hobnail milk glass cabochon and adjustable brass band. 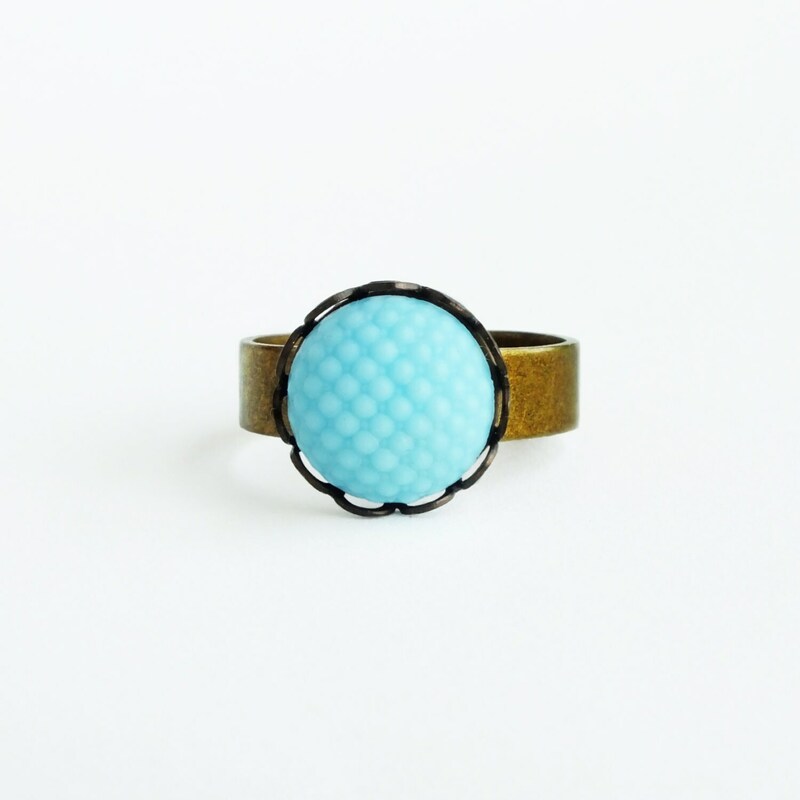 Made with the most adorable genuine vintage glass cabochon in a pale matte blue with a cute waffle texture. 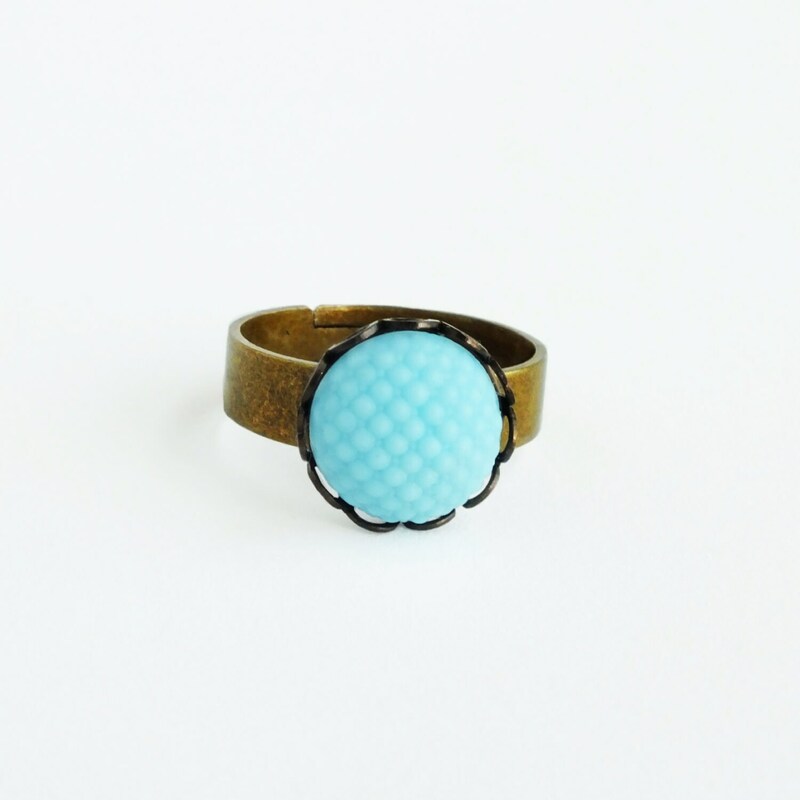 I set it in a dark brass lace-edged frame secured to a super comfortable sturdy antique brass ring band.